Thirteen years ago, when I thought I was quite knowledgeable about what I then called condominium law, I traveled to Southern California to attend my first College of Community Association Lawyers Law seminar. At the conference, I learned that there was a lot to learn about community association law, including that it involved much more than condominium law. Having gone to every annual CCAL conference since then, and having taught courses at about half of those, I’m more aware than ever that there’s still a lot to learn. 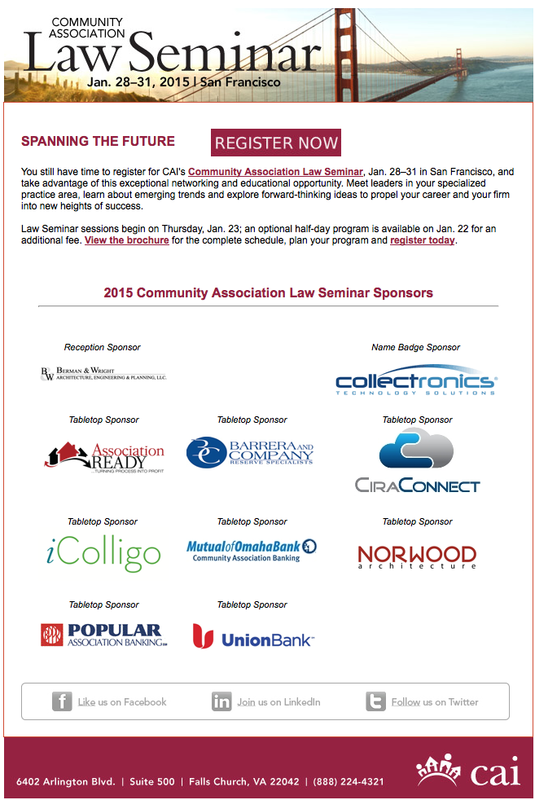 And many other Utah community association practitioners and even one board member will be joining me in San Francisco for the 36th Annual Community Association Law Seminar, to be held on January 28-31. As of today, there are 17 Utahans registered, including managers, insurance agents and a community association board member. Sarah Orme will, of course, be joining me once again, and I will be co-presenting with Karin Hobbs, among others. Our session will cover effective mediations with insurers. If you’re reading this post, you must have some interest in Utah community association law, and if you’ve never been to a CCAL Law Seminar, this is an excellent opportunity. Beware, however, that if you attend one conference, you’re likely to make it an annual event. Almost all of the Utah registrants have been before, and most of them have made it an annual event. ← Attention Park City and other Summit County Associations! I’ll be there again this year. It has been a few years for me – looking forward to seeing you.